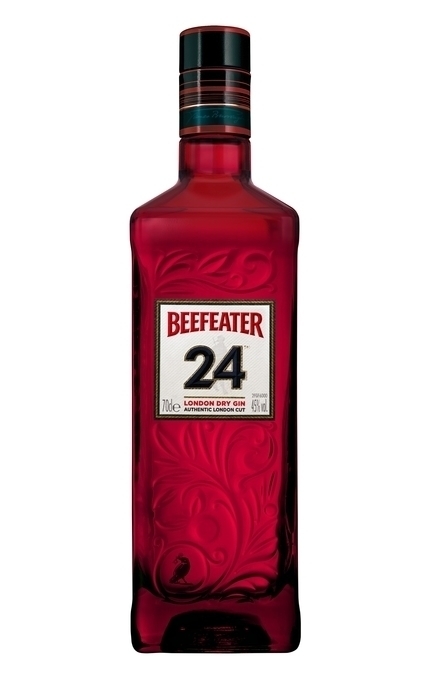 Beefeater 24 Gin Flavoured with 12 botanicals including rare teas, Beefeater 24 takes its name from the 24-hour period the botanicals are steeped in alcohol prior to distillation. These include: hand-prepared grapefruit, bitter almond, orris root and Seville orange peel, Japanese Sencha tea and Chinese Green tea. Product #: 1471 5 stars, based on 1 reviews Rating from 1.0 to 5 £25.95 In stock! Order now! 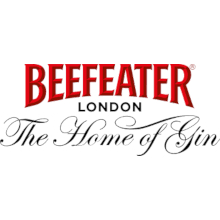 Desmond Payne has been distilling gin for over 40 years, first at the now lost Seager Distillery in London’s Deptford, then at Plymouth distillery and since 1995 he has been the Master Distiller at Beefeater. It is no exaggeration to say he is the world’s most experienced Master Gin Distiller but had never been given the opportunity to create his own gin. So when news leaked out that he had finally been given free range to formulate his own gin there was great anticipation by all in the gin world, even his competitors. 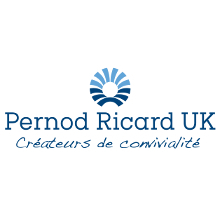 The inspiration for a radical botanical to use in his new gin came from previous visits to Korea and Japan where Desmond had discovered that due to restrictions on the use of quinine, the locally made tonic water was not a patch on what he was used to drinking with Beefeater back home. As a result their G&Ts lacked bite so he had been forced to look for alternative mixers. He enjoyed drinking the ubiquitous local canned iced teas so tried mixing this with his gin. The result was very acceptable and so ‘Beefeater and iced tea’ became his default drink in Asia. Remembering this and the fact that tea is traded like a botanical it seemed logical to Desmond to experiment with tea in his new gin. Initially he simply took leaf tea and distilled it in alcohol using his 2-litre laboratory still. As a result he discovered that both Assum and Darjeeling teas were far too tannic but green tea had the required fragrance and aroma, in particular Chinese green tea. Having already decided on tea based solely on the suitability of its flavour profile in gin, research later revealed that James Burrough's father, William, had been a tea merchant by Royal Appointment to Queen Victoria as part of his grocery business in Ottery St. Mary in Devon. 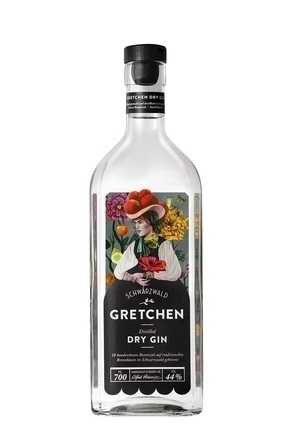 Beefeater Crown Jewel, the super premium gin he was set to replace, was known for its use of grapefruit so it seemed logical to combine this with botanicals from the original Beefeater recipe and the Chinese green tea. He knew from experience that all these botanicals would combine well but the challenge was to balance all of these flavours. Angelica’s musky, nutty notes were the nearest to the green tea in the Beefeater’s original recipe so Desmond cut this back slightly. He also reduced the amount orange and lemon peel to counterbalance the addition of the grapefruit. The result of his experimentations was a prototype with the working title ‘Big Ben’ and this was blind tested by panels in London and New York against six of leading gin brands, both neat, in G&Ts, Dry Martinis and Collins’. The feedback was very positive but when the test groups had been told the new gin contained tea, the prototype was so well balanced that they were unable to detect it. It was decided that the tea influence should be increased. Now tutored in the art of tea tasting, Desmond went back to his tea merchant and tried Japanese Sencha Tea, harvested from the slopes of Mt Fuji. Unusually this rare and expensive tea is steamed to prevent the oxidisation that occurs with other teas and consequently is packed in 200 gram foil bags to keep it fresh – even when ordering in the quantities required for distilling. This added an extra fragrant grassy dimension to the gin. Believing he had now found the perfect recipe using twelve botanicals, Desmond worked to perfect the steeping and distillation process. He had worried that the full 24-hour steeping process used for Beefeater Original might stew the tea but instead found it beneficial. He did, however, find that the tannins from the tea came over towards the end of the distillation so his ‘cut’ into the tail of the run for Beefeater 24 is much earlier than is usual. 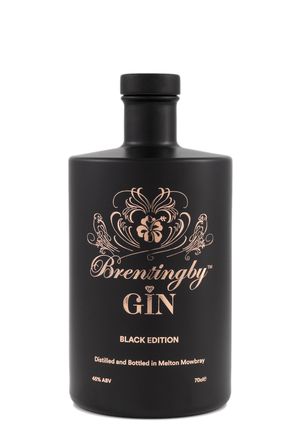 This limits the quantity of gin produced in each run but retains the gin’s fresh notes of grapefruit and leaf teas. Desmond believes this to be the earliest cut used in the gin industry and it results in close to a third of each distillation being discarded as faints. - The distinctive blue-black colour is inspired by both the Yeoman Warders day uniform and the colour of the ravens - continuing the link to the Tower of London. - Yeoman Warder in ceremonial dress. - Name ‘24’ a reference to overnight steeping of botanicals and the 24 hour London lifestyle. - Embossed details on bottle influenced by Royal Dalton’s Arts and Crafts designs found on a ceramic cask at the distillery. - Silhouette of Tower of London with the wheel of the London Eye adding a contemporary London landmark. - Red punt in the base is not only the Beefeater colour but is also a reference to the famous Black Prince Balas ruby in the State Crown amongst the Queen’s Jewels on display at the Tower. - At the base of the embellishments on either side of the bottle is a citrus fruit referencing key botanicals. - Raven holding the symbolic key to the Tower of London printed on the inside of the back label and visible through a window in the embossed design. Delicate pine, lavender, tea and grapefruit zest. Soft and faintly sweet. Piny juniper leads with grapefruit, tea, liquorice and violet notes following. Top note of sweetened lemon zest and white pepper. Tannins from the tea are evident in the long, piney juniper fresh finish. 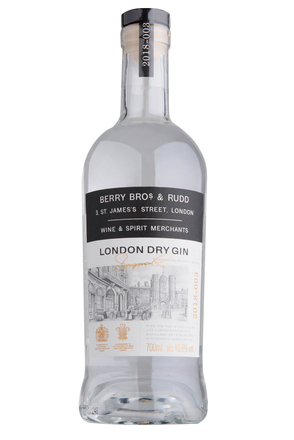 All in all brilliantly rounded and balanced London Dry Gin.